Your holiday is coming closer and closer, and you are super excited. However, once you think that you have to pack, the smile on your face is gone. Packing for a trip can be quite stressful, but, it doesn’t have to be complicated. Number of days you will be away. How long will you be away? A week? Maybe a month? Take the number of days into account. This will help you decide how much clothes to take and avoid overpacking or packing light. Activities you will do. Are you going to ride a camel on Lanzarote, go for a jeep safari on the Akamas, or maybe play golf in Turkey? Not sure yet?Well, you should think about the things you want to do and the events you’d love to attend during your holiday. Make your own to do list that will help you pack right for different occasions. Weather forecast. Checking the weather forecast is another crucial thing when it comes to packing for a holiday. Once you know what days are ahead of your journey, it would be much easier to decide what to bring with you or what to leave in your wardrobe. Luggage. The last thing to consider before you start packing is to consider how much luggage you are allowed to take. This applies especially if you are travelling by plane. 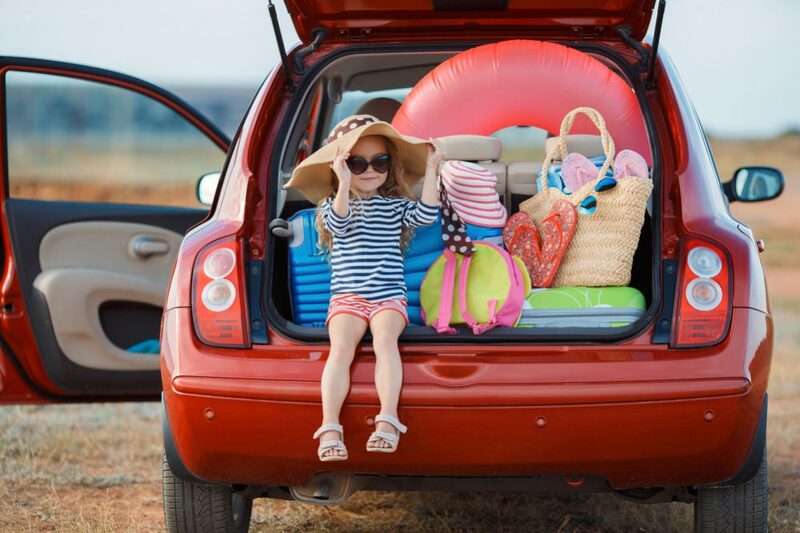 Check how much you can bring with the company you’ve booked to know how much you should pack. Clothes. Every travel packing list starts with clothes, and so does ours. Pack different outfit depending on the weather season, the number of days away, and the activities you will do. Remember, don’t take too much stuff, but don’t pack light. Take as much as it is really necessary. Don’t forget to pack pyjamas, going out outfit, some extra underwear, socks, and something warm in case of rain. Toiletries. Don’t forget to pack body care products. This includes a toothbrush and toothpaste, a deodorant, a shampoo, a shower gel, wet wipes, a sunscreen, a hairbrush, and body milk. Moreover, some of these products can leak so make sure you put them in a plastic zippered bag. First aid kit. Another thing that should be on your travel packing list is a first aid kit. You should bring any prescribed medications. Why not set a reminder on your phone, so you don’t forget them? Moreover, your kit should also include vitamins and medications that fight pain, headaches, fever, allergy, and motion sickness tablets. Just in case you get injured, bring band-aids, bandages, scissors, gauze, and antibacterial gel. Travel pillow. Bringing a travel pillow will help you stay more comfortable during the flight, especially if it is a long one. Don’t forget to place it in your carry-on with you. Electronics. Nowadays, electronics are an inevitable piece of every travel packing list. Bring a laptop or tablet to keep you entertained during the flight. In addition, make sure you bring your camera to take some lovely photos. Then, pack your smartphone, earphones, chargers, and a power bank to make sure you have a battery wherever you are. Accessories. What kind of accessories you will take, depends on the weather conditions, weather season, and the events you are going to attend. Bring sunglasses, jewellery, belt scarf, hiking shoes, and anything else you believe it is necessary. Passport. Of course, don’t forget to put your passport and other essential documents such as your travel insurance in your carry- on bag. These things are quite essential, so before you leave your home double-check you have them with you. Pack smart, don’t take too little clothing, or more than you need. 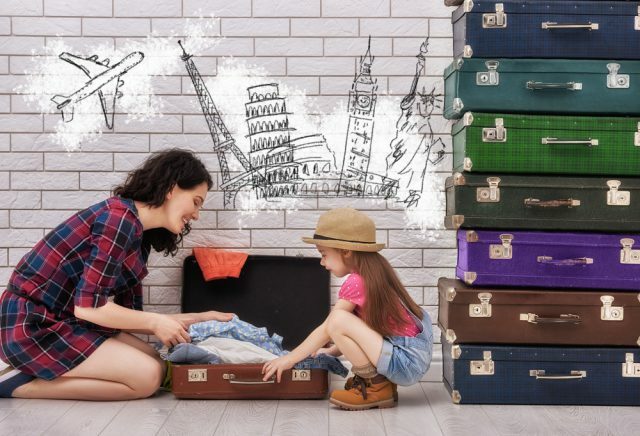 Whether you are travelling for the first time or this is your 20th holiday abroad, sometimes it is difficult to decide what to pack and how much to pack for a trip. That’s why we created this travel packing list to help you pack easily. Follow our advice and leave stress behind.